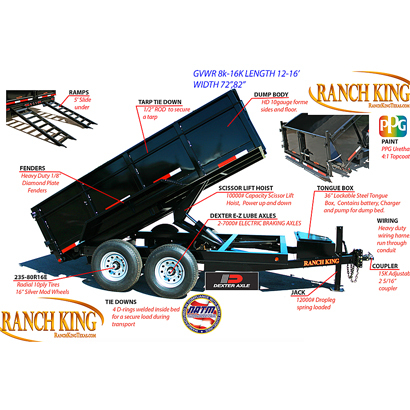 This dump trailer is a heavy duty tipping trailer used for moving soil and rocks mainly. It has 36" sides and is 14' long. It has a door which lifts up or drops down during tipping.